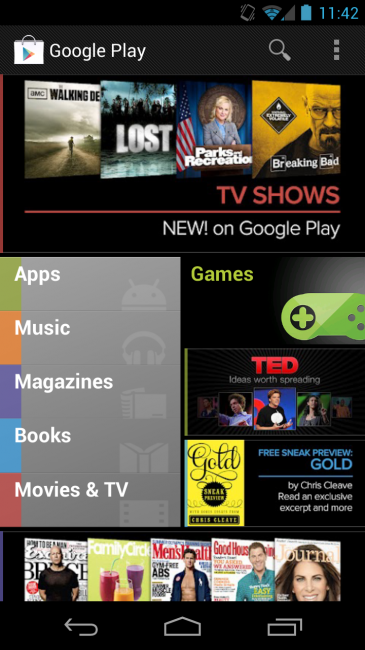 If you can’t upgrade your phone to Jelly Bean anytime soon, you can at least download the new Play Store that includes sections for TV and Magazines, two new additions as of yesterday. Other than those new sections, there aren’t any major visual tweaks other than the removal of those awful reflections. After downloading the application, tap on it and install over top of the previous version of the Play store.